Medicare covers for a portion of medical treatments, but it’s not designed to pay for everything. This is one reason people have private health insurance: to pay for additional costs not covered by Medicare. 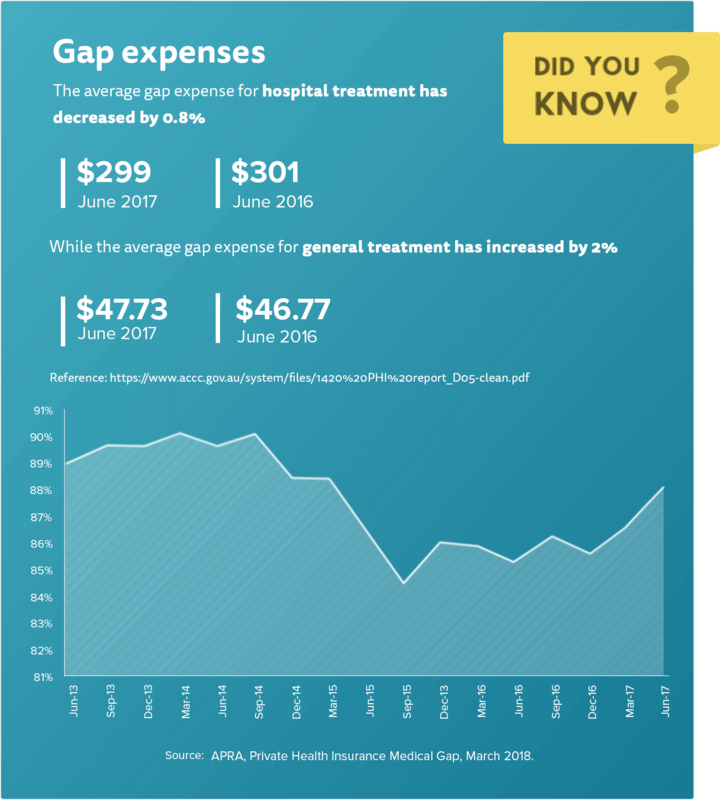 A gap payment is what you pay out of pocket for the portion of a medical or hospital fee that isn’t covered by Medicare or your health fund. 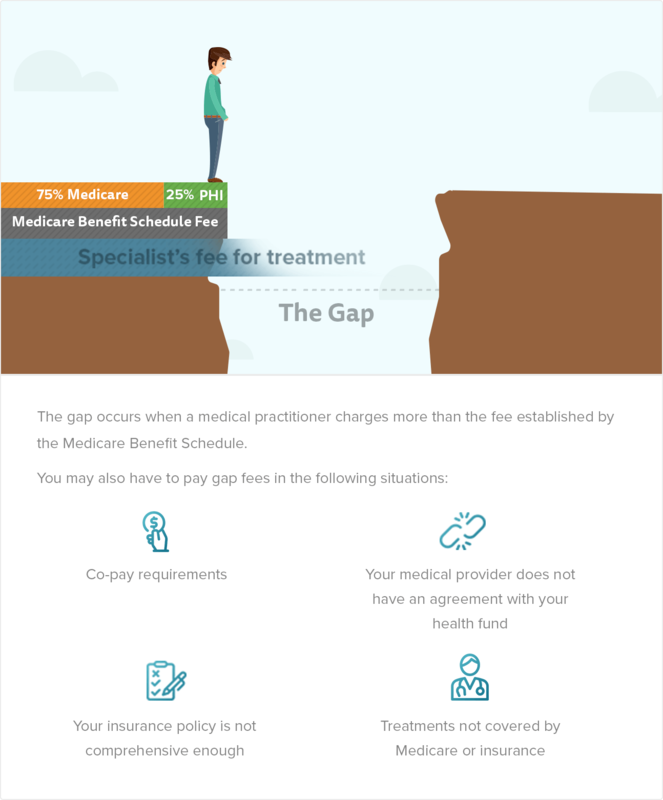 The gap is created when a doctor or specialist charges a fee that is higher than the Medicare Benefits Schedule (MBS). You can reduce or avoid the gap by choosing a health insurance policy with a ‘no gap’ or ‘known gap’ scheme in place. You must also choose a medical practitioner participating in your fund’s gap scheme for the particular treatment you need. 1 What is the Gap? 2 Why Does the Gap Exist? 3 Why Don’t All Doctors Charge the MBS Fee? You’ve probably heard about the health insurance ‘gap’, but it’s not always clear what that means. The gap is basically any money you pay out of pocket for a health treatment. It refers to a ‘gap’ in coverage, whether that’s related to Medicare or your health fund. For example, when you visit a GP that doesn’t bulk bill, you’ll get a portion of the fee back from Medicare. The rest of the fee, however, comes out of your bank account. This is the gap. The gap makes it confusing to work out exactly how much you’ll owe for a medical service. To avoid being caught off-guard by the gap, compare health insurance policies that provide gap cover. This can help you reduce or even eliminate gap fees. The Medicare Benefit Schedule (MBS) is a list of Medicare services subsidised by the Australian government. It establishes the amount that Medicare will cover for a specific list of services. Medicare does not always provide a full rebate for the fee. 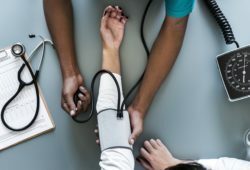 Doctors who bulk bill agree to accept the Medicare benefit as full payment for each service, meaning they don’t charge more than the MBS and you are not left out of pocket. However, medical practitioners are not bound to the MBS, and many charge more than the MBS fee. 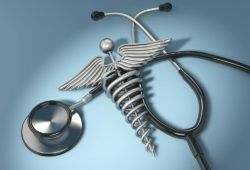 Doctors can also decide whether or not they will participate in an insurance fund’s gap cover arrangement. Why Don’t All Doctors Charge the MBS Fee? Fortunately, many doctors do agree to participate in gap cover schemes through health funds. To avoid the gap, shop around for health insurance with a gap cover scheme. The next step is to find a doctor that participates in your health fund’s gap cover scheme. Doctors are not required to participate, so it’s important to find out before you receive medical treatments or services. A no gap cover scheme means exactly what it says: there’s no gap for services under the scheme, which means no out of pocket expenses for you. A health fund may provide full or partial cover for the gap, so be sure to clarify which level of cover you’re eligible for. A no gap scheme is ideal, as it allows you to avoid the gap entirely. A known gap scheme establishes exactly how much you will pay out of pocket, so there are no unpleasant surprises when you get the bill. You’ll receive information in writing about the costs of each procedure in advance, so you can provide ‘informed financial consent’ in regards to the gap. 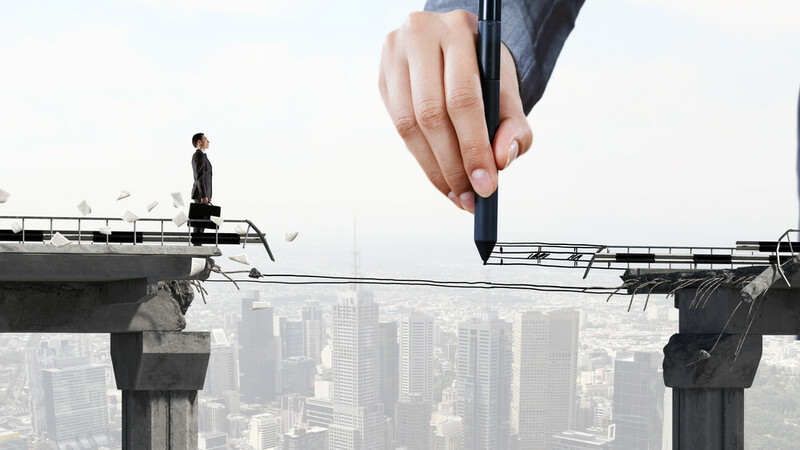 To avoid the gap, you must choose a fund with a no gap scheme and a doctor that participates in that particular scheme for the service you need. If your doctor is not registered with your health fund’s gap cover scheme, you can ask if he or she would be willing to join. Doctors can decide on a case-by-case basis. Find out if all of your medical professionals involved with your treatment or service are participating in the gap scheme, such as surgeons, anesthetists or assistants. If not, you may still be liable for a gap payment for that provider’s services. When comparing health insurance, don’t be seduced by a policy’s gap scheme alone. Review the entire policy for exclusions, limitations, terms and conditions before making a final decision. To find a policy with a no gap scheme, along with the other features that you’re looking for in health insurance, it’s wise to shop around. Compare policies to find one that offers you value for money across the board, rather than one outstanding feature. 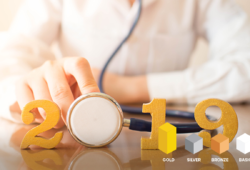 Health funds provide many different ways of saving you money, so it’s worth considering your options and switching if you find a better deal.